We are addressing this letter to you with the hope that it serves as educational material, an example for others, the story of our journey or as just a good read. 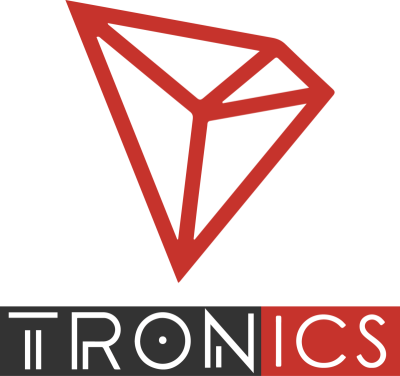 We are Team Tronics - one of the strongest and most reputable teams on the TRON network. Working as a decentralized team. Because we have been a community-driven project, we feel the need to openly talk about existing issues and possible solutions for the TRON network and its Super Representative (SR) behaviour. Being heavily driven by education, we see no other way to deal with ongoing issues than to openly address them. We have supported TRON in every stage and contributed to its success in every possible way we can, including project development, testing, providing new ideas, community and technical support, rehearsals, community meetups, attracting new members, driving adoption, education and by providing the strongest SR Node to the network. Our node as of the writing of this article has produced 131,276 blocks and has only 96 blocks missed, resulting in a productivity rate of 99.93%. This means we operate one of the most reliable and hardest working witness nodes on the TRON network. To further enhance network strength and stability, we operate three backup servers running side-by-side our witness node to ensure that we are not missing blocks or compromising network. Currently, we are ranked as the 6th highest voted team in the Super Representative rankings with 212,562,989 votes. Our story began with the vision of representing all the believers in TRON and everything TRON stood for, and we felt we had to do what we did, when we first got elected. We were one of the first SR team who introduced rewards for votes, the idea was to reward people who helped us to get elected and we promised to give 80% of our FIRST claimed block rewards back to our supporters, because, at that time, we wanted to be the ones who shared our success. The plan was to have a one-time Airdrop to supporters and the community to say - ‘Thank You’. At that point, we did not realize that we had opened pandora's box. As soon as we did that, other SR's for competition purposes introduced similar rewards, too. This became the game for all and we were all fighting for the votes. After seeing that voters were still not happy with the current community reward rate, we started to do something drastic. We decided to be the first team who gave everything back to the community and that was our biggest mistake. We have to shoulder the guilt for this. By doing so we opened the floodgates to every other community SR to follow us and we are where we are today. As a team, we have come to a fork in the road that must be addressed and has been addressed by other community-run SRs, as well. Currently, SR rewards have grown to such extents that community SR’s are forced to give back 100% just to stay in the top 27, and even this is not enough anymore. While this is a short-term gain for voters, the long-term ramifications far outweigh the pennies people are chasing today. This is not our vision, nor is it something that we feel is in the best interest of TRON network when looking at the long-term vision. Seeing these numbers makes us fearful, how can a community SR sustain and continue with the development of new projects, fund their servers, cover IT expenses, organise community meetups or even justify hours they spend when they give away 100% of all block rewards? This means SR teams are paying for servers and backup servers from their own personal funds. We believe that this is an extremely bad move and it damages the TRON image and its attraction to potential investors. On top of that with the huge amount of TRX that are given back as rewards every day, we are introducing enormous amounts of TRX into circulation, this is another big reason to stop continuing with rewards. This is not good for TRX price and a game plan like this will never help for a good future. So, we have come to the realization of what needs to be done. For the betterment of the TRON project and prosperity of it’s network, Team Tronics will be dropping rewards to 0% . We are doing so to address an ongoing issue and will not support voters whose only motive is to manipulate the system for their own personal gain. We have exhausted all resources on working with the current system, which both benefits development and rewards for loyal voters, however, we continually found this to be a cyclical cycle of never-ending reward increases. We feel the current voting process severely lacks the ability for community SR’s to build as they are giving everything away. We hope to see loyal, invested voters who understand the true long-term value in TRON’s ecosystem, who believe in TRX, who understand growth comes from successful products and applications, to support SR's and want to help contribute to build a better network together. We understand some will not agree with this, and we understand and appreciate these views as well. However, we are not saying that we are going to stop our movement. As a team we will be working even harder on all our projects to bring an ecosystem to TRON that will help facilitate real-world use cases and solid growth within TRON. Our hope is that our community and other SR's as well as their communities will soon realize that without this change, there will likely be no more community SR’s and TRON will become just another pump and dump ecosystem, following on the heels of other coins that failed before due to pure nearsightedness. Thank you to all who helped us get elected and we hope that you continue to support us as we move to bring real change. If you do not wish to continue to support us, we understand and still appreciate your support to this point. By no means are we trying to damage current SR positions or criticize their work. Current community SR’s are the best and hardest working teams we have met on our journey. Since the beginning, we have been working together with most and will continue having a strong relationship with everyone. We also would love to see that other SR's join our movement, follow our example and re-distribute funds from block rewards on infrastructure they promised, for funding their projects and for building a better and bigger community. Everyone can get elected when paying for votes, the real challenge is to get votes and support from people who truly believe in TRON, SR values and want to contribute and build a better network together.